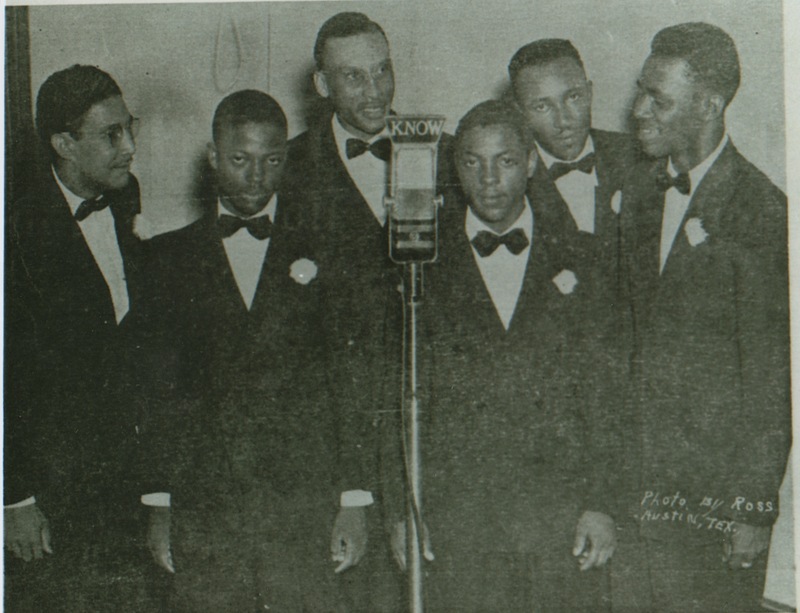 In this 1946 photo, when they were the Starlight Singers (l-r): Buford Johnson, A.D. Watson, Booker T. Hicks, Eddie Watson, Wilman Reed and A.C. Littlefield. They piled into a station wagon, with no real goal except that they were going to Houston to make a record. They didn’t even have a name, needing a new one because there was another group making records called the Starlight Singers. By the end of the year, these six young men from Austin would have the biggest gospel hit of 1951. “Let’s Talk About Jesus” by the Bells Of Joy, the name they picked out of a hat, sold more than a million copies, even more than the biggest hits by their idols, the Soul Stirrers or the gospel queen Mahalia Jackson. With a drum beat, extremely rare for a gospel quartet record of the era, and harmony vocals that jubilantly bounced back responses to A.C. Littlefield’s smooth lead, “Let’s Talk About Jesus” was irresistible, the biggest spiritual crossover hit until the Edwin Hawkins Singers released “Oh Happy Day” in 1969. More than a half century later — a few days before the Bells Of Joy will gather for two Sunday gospel brunch shows at Stubb’s — baritone singer A.D. Watson, the lone original member, sits on a friend’s Clarksville porch, just down from the Sweet Home Baptist Church, where the group first sang publicly, and reminisces. “We rehearsed every other day for three weeks, so we knew the material inside and out,” he says of the fruitful session in Houston. 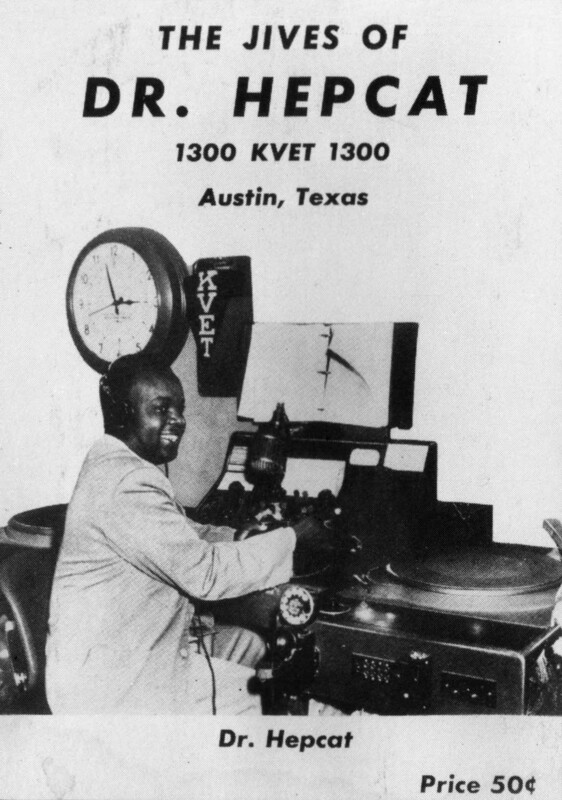 Lavada Durst was a pioneer of rock radio, playing jump blues and R&B in 1948 on KVET. wrote “Let’s Talk About Jesus,” Watson says, but gave A.C. Littlefield the writer’s credit. “Lavada was a blues man, see, and back then you couldn’t serve both the devil and the Lord.”To complicate matters further, the Littlefields’ father Ira owned the rough-and-tumble blues joint I.L. Club on E. 11th. Born in 1913, Durst came of age during the boogie woogie piano craze of the early 1930s with such Austin contemporaries as Black Tank, Boots Walton and Baby Dotson. But his greatest influence was the great barrelhouse player Robert “Fud” Shaw who moved to Austin from outside Sugarland in 1933 to play juke joints in the wake of Prohibition’s repeal. By the ealy ’50’s, Durst was the Man here in Austin due to his radio success and served as a silent negotiator for the Bells when they met with Robey, an infamously shady mogul, who became interested in the Bells when they tore it up at a gospel convention in Houston in early ’51. “Lavada said that if he nodded, to go ahead and sign the contract,” says Watson. The Bells opted for royalties rather than to sell their songs to Robey outright, which would’ve been a wise decision except that Robey never paid the royalties. Instead Robey bought the Bells a brand-new Oldsmobile Delta 88 and sent them out on the gospel highway for almost 18 months solid. “When we signed the deal, it wasn’t just for recording, it was for booking,” Watson says. “Robey told us, straight up, if this record hits, y’all gonna have to quit your jobs and leave your family for a spell.” Leaving their custodial and porter jobs was no problem, especially since the members were making more than a month’s salary, as much as $500 a man per night, when they performed in package shows with Peacock label mates The Five Blind Boys Of Mississippi, as well as Soul Stirrers, Pilgrim Travelers, Swan Silvertones and others. But a pair of Texas-raised quartets, the Soul Stirrers and the Pilgrim Travelers, smoothed the jealous waters when they could and gave the Bells some touring pointers. “They told us to never stop in small towns in the South; to get our gas and our food in the big cities, where there were black folks,” Watson says. The group learned another lesson on their own. “See, we used to drive around with a sign that said ‘Bells Of Joy’ on our car,” Watson recalls. “But then we found out that motels would raise their prices when we pulled in. Everybody would come out and go, ‘You guys are the Bells Of Joy? You’re big stars!’ ” The sign came down in New Orleans after the group realized they were paying $7 a room, while the other guests were charged $4. A suggestion from the Stirrers and Travelers that the Bells didn’t take was to move to a bigger city with a thriving gospel scene. The Trinity-born Stirrers were the rage of Chicago and the Houston-based Travelers had really taken off after relocating to Los Angeles. Ironically, it was a secularized interpretation of “Let’s Talk About Jesus” and other quartet stompers that helped make the Bells’ style passe. In 1955, Ray Charles replaced the propulsive harmonies of “Talk About Jesus” with driving piano and “I Got a Woman” became his first hit. Little Richard and Jerry Lee Lewis, former church singers, would take Pentecostal fire to the pop charts and doo-wop singers would bring a streetlight glow to the quartet style. Gospel music no longer had a lock on a fever pitch. Singers were wailing on national TV. For the next three decades, the Bells rarely played public concerts, concentrating instead on church performances and taking jobs as custodians, grocery sackers and cooks to pay the bills. Watson got a job as a maintenance man at City Hall, where he’d work for 28 years until retiring in 1986. The group’s activity revved up in the late ’80s when there was renewed interest in vintage gospel sounds. Vernon Manor had retired from the group, to be replaced by Alton Cyphers. When group leader A.C. Littlefield passed away in January 1999, the Bells forged on. 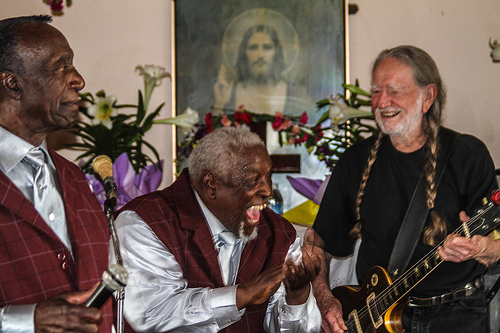 Willis Littlefield, the nephew of A.C. and Ester, runs the band’s business today from the family homestead in the former all-black community of Clarksville. His house on West 12th Street, a shot put from the swank Jeffrey’s restaurant, is on the original two acres former slave Charles Clark purchased for $100 in 1871 to create a freedman settlement. Next door to Willis’ house is an overgrown vacant lot where Seymour Washington’s blacksmith shop used to be. “That’s where all the old-timers used to chew the fat,” says Watson, whose family moved to the neighborhood from Brenham in 1943. A.C. and Ester Littlefield grew up a block away, on a circle that no longer exists. Construction of MoPac Boulevard displaced 26 African-American families in the ’70s. But the next decade’s development boom moved out even more blacks, who could no longer afford to live in the former rural community of outhouses and kerosene lamps, which had become a yuppie haven. The family milk cow was replaced by trendy coffee shops. “We’re one of the few black families left,” says Willis. Likewise, the Bells Of Joy are one of the few “golden age” gospel quartet holdouts, still performing in the old style in an era of choirs, synthesizers and funky bass. Willis says his next quest is to chase down some of the royalties owed. Even though “Let’s Talk About Jesus” is included on several gospel anthologies, and still garners airplay on Sunday gospel programs, Willis says the group rarely receives residuals. “The checks we do get are so small they’re hardly worth cashing,” he says.